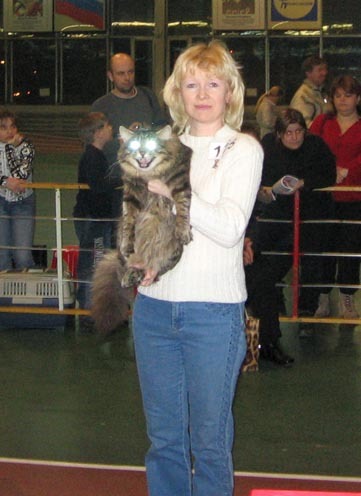 Cattery of the Siberian cats "Crown of Siberia"
that deals with breeding of Siberian cats!! Our cattery was registered in WCF in December of 2005. 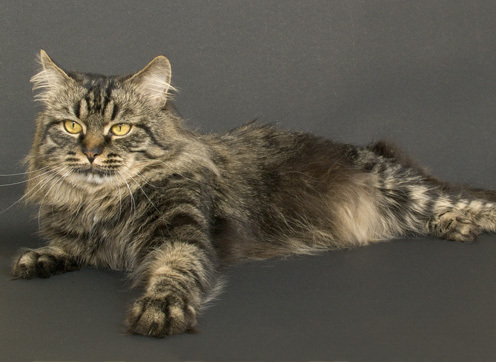 The main cat and the father of the cattery is Mars, a big siberian cat of a mackerel black tabby color and excellent type. The parents of Mars were unknown, so he has no pedigree. 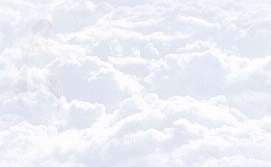 But he has more than one hundred gorgeous beautiful descendents (children, grandchildren, grand-grand ghrandchildren) who live in different Russian cities as well as in different countries such as Germany, Poland, Switzerland and Holland. Mars transmitted to his offsprings strong bones, a splended head, a long fluffy tail and a very kind temper. 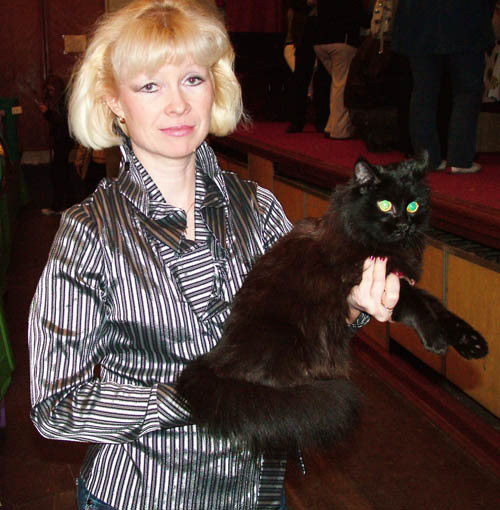 Pedigrees of our kittens contain lines of very famous Russian catteries, such as "Vemas", "Volzskaya Krasa", "Valenvic", "Sibaris", "Iz Losinogo Ostrova". In the nearist future we are planing to use in the breeding work kittens that were born at the other famous catteries, such as "Angara", "Labamba", "Goldenensima", "Slavicat". Our cattery is a collective one. It means that our male and female cats live with their owners as members of their family. Our breeding females and males live separately in different homes, so we breed only as we plan. We prefer to keep only one litter in home at a time. Our kittens are raised with the familiy and socialized with kids, dogs, other cats, etc. They are never raised in cages. Every kitten gets lots of attention. All animals are vaccinated against infection and rabies and checked against viral and genetics deceases. 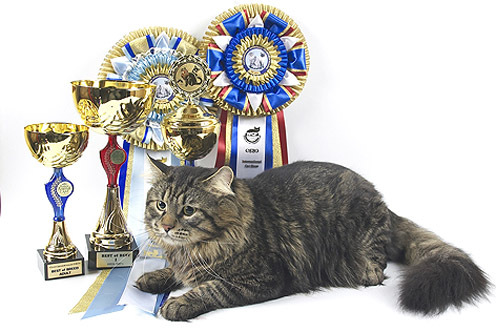 We are always glad to offer cooperation in breeding to other catteries of siberian cats. We hope that you will like our kittens and if you are looking for a siberian kitten to buy we will help you to make the best choice. We will tell you how to feed and bring up the kitten which you chose. We will be glad to help you to participate in breeding program. Please, feel free to contact us by phone or mail.